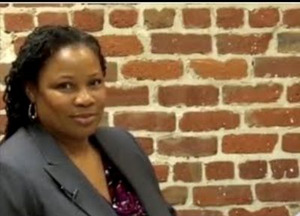 Zaretta Hammond is an education lecturer at Saint Mary’s College of California. SAN FRANCISCO ― Zaretta Hammond grew up in a low-income, non-White neighborhood in San Francisco, born to a teen mother who was raising three children by age 22. Before Hammond began her formal education, her mother visited the school where neighbors typically enrolled their children. She searched for an alternative, fearing the nearby school’s scant resources and low quality of instruction. Hammond’s mother used a relative’s address on forms so the children would qualify to enroll in a school that she believed would provide a better education. Because the young mother had to commute to her job to support the family, she put her three elementary-age children on public transit five mornings a week, where they rode the bus about two hours one way to reach school. To this day, Hammond remains grateful for her mother’s long-ago determination to provide for her children, but she simultaneously insisted, “No family should have to go through all that” in order to access high-quality, public education. Now an education lecturer at Saint Mary’s College of California, Hammond shared her family narrative last week during a conference of Learning and the Brain, which connects neuroscientists and researchers with K-16 educators. Learning and the Brain presents new research on the brain and learning, along with implications for education. During a session titled, “Cultivating the Diverse Students’ Mindset,” Hammond, who’s African-American, used her anecdote to explain why she is passionate about helping educators across all racial groups better relate to families of color. Her personal story segued into how and why a disproportionate number of Black and Latino students struggle to learn. With a conference theme of “Shaping Student Mindsets,” the Learning and the Brain meeting organizers promoted the idea that children’s beliefs and attitudes of themselves, their feelings about school and their sense of social belonging can result in them working harder, persisting more and achieving more. Put another way, success is based on effort. Unlike other academic conferences, most of the Learning and the Brain sessions were not panel discussions of multiple scholars with a moderator facilitating the presentations. Instead, each presenter spoke for an hour or longer, during sessions with titles such as “A Brain-Based Approach to the Achievement Gap” and “College Students’ Sense of Belonging and Grit.” Some presentations featured liberal use of neuroscience vocabulary, such as “amygdala,” the portion of the brain that is the center for emotions, emotional behavior and motivation. But what drew the most nods among audience members and caused their fingers to fly across mobile devices to record notes were the anecdotes from session presenters that lent insight into minority student mindsets and experiences. Dr. Terrell Strayhorn, an Ohio State University higher education professor, noted how education vernacular, for example, can prove distracting, even a barrier to learning. Words such as “provost” and “syllabus” are rarely used outside of academia, so many youth aren’t familiar with them prior to college. Strayhorn recalled how a Latina undergraduate who was first in her family to attend college couldn’t follow her professor’s monologue during the first day of her freshman biology class. To start, she didn’t grasp the professor’s intent when he announced he would review their syllabus aloud. Much of the class period had elapsed by the the time the student realized a “syllabus” was the coursework plan for the semester, so she missed most of the professor’s explanations. Strayhorn also recounted his visit to a small college in the Midwest where students crowded around him after his speech. While he was in the midst of shaking hands and thanking them for attending his talk, a Black female undergraduate whom he’d never met loudly whispered that she needed to consult with him right away — and privately. Confused, Strayhorn told the young woman that he couldn’t break away from the group without appearing rude. She tugged on his sleeve anyway, until they moved a few feet away from her peers, when she explained what was on her mind: she wanted to change her major, felt anxious about the potential implications and sought his opinion. On a more serious note, Strayhorn said, comments such as those from the Black undergraduate and the first-generation Latina college-goer underscore the importance of educators recognizing that seemingly basic aspects of academic life are in fact struggles for historically underrepresented students. “If we can normalize the experiences of students, we can help them raise self-efficacy competence,” Strayhorn said. But that’s easier said than done, according to Hammond. It’s tough for minority youth to rise above the countless stereotypes and negative jabs conveyed through advertising and media. Hammond showed her audience an ad for a lotion manufactured by a renowned beauty conglomerate. The label on the lotion read, “for normal to dark skin” — implying that Black and brown skin were somehow abnormal. Nevertheless, words can also have the opposite effect. Strayhorn recalled how, in 2010, he was one of 119 new faculty at Ohio State, typically one of the largest institutions nationally every year. He had jumped to Ohio State from the University of Tennessee, Knoxville.